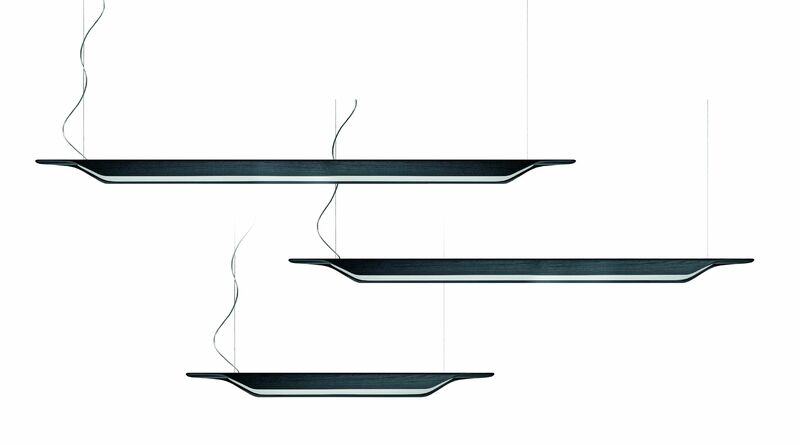 Light, linear, suspended lines that emanate a sense of natural familiarity, at home or at work: this is troag. 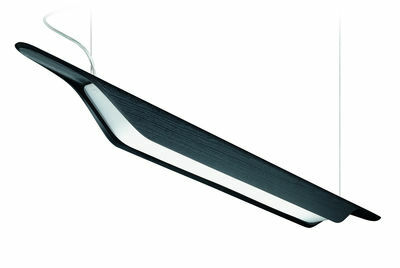 Inspired by a canoe-shaped wooden bowl traditionally found in swedish homes, this brand new suspension lamp is created in multi-layered wood that is heat curved and whose edges are specially milled to create a dynamic, inclined profile, emphasised by the grain of the wood. 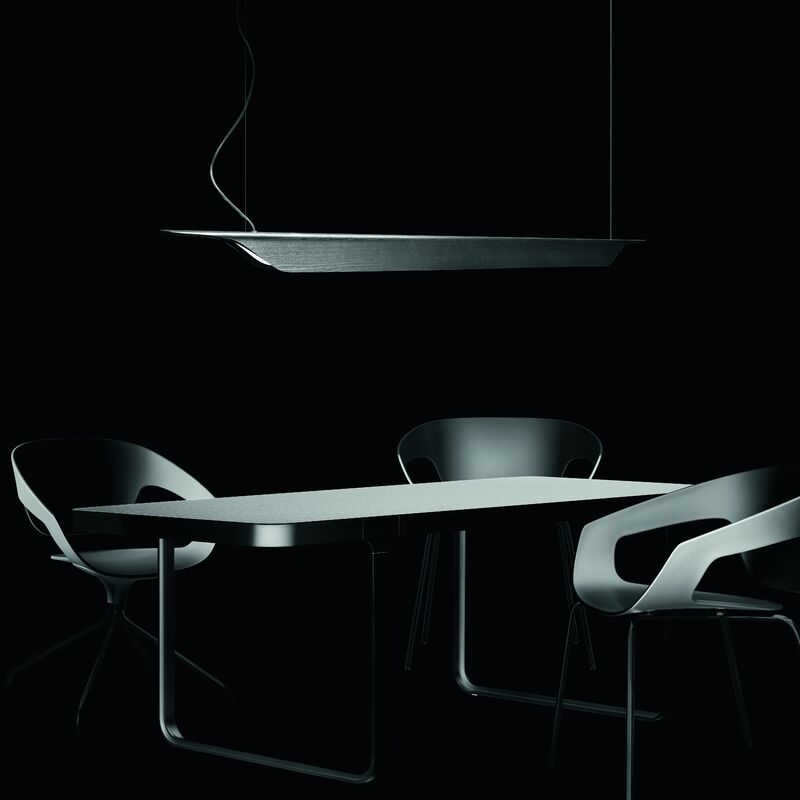 Troag's design makes the most of the light, concentrating it downwards to light tables or surfaces in a uniform manner. 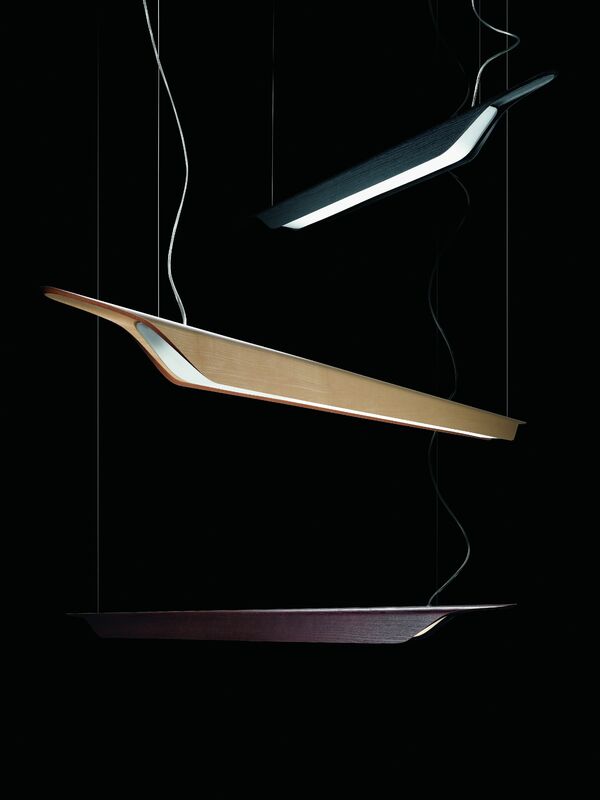 An opaline screen situated beneath the fluorescent tube hides the technical components from view and allows the lamp to be used at different heights. 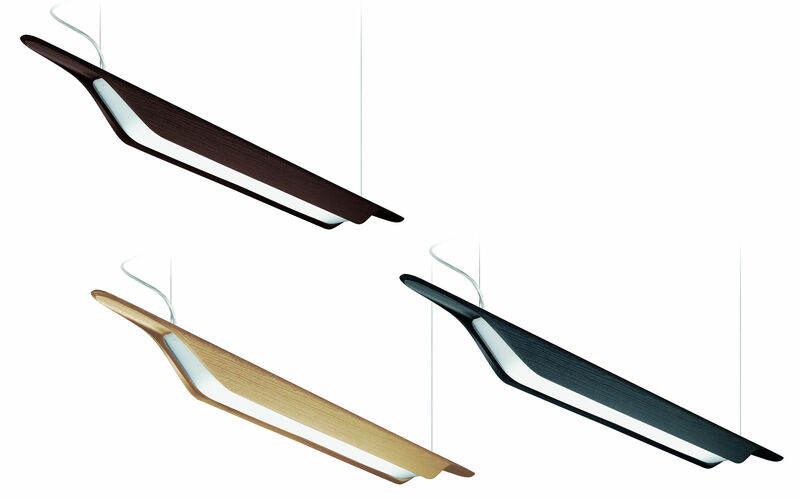 There are three available finishes and three sizes, the largest is over 2 metres in length, to launch a brand new signal of style and warmth in any environment, from homes to contract spaces.